I’m up next for a new laptop at Geek For Hire, so I’ve been thinking about all the computers I’ve had. 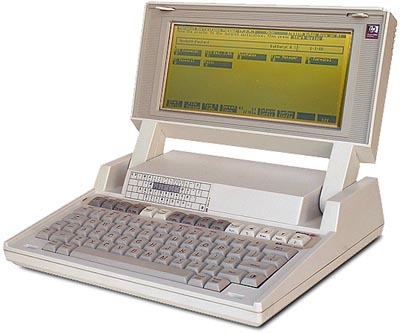 I remember carrying my first laptop through the Pittsburgh airport. At the time it was called a “portable computer”, and technically it was, although Chris called it a “luggable”. The computer was made by Hewlett-Packard, had a separate disk drive, a separate printer, and may or may not have had an internal battery. (We can’t remember.) It had a very small (5″?) black & white screen and ran on DOS 2.11. Of course, I needed to bring all of this with me on my business trips. All together they probably weighed 25 or 30 pounds and I would have deep indentations in my shoulders when I arrived at my destination! My new laptop will weigh about three pounds and will be a gazillion times faster. Those first portable computers weighed around 24 pounds, had a 5″ CRT screen and a 5.25″ floppy drive for storing your data. Following Moore’s Law, laptops became faster and lighter relatively quickly. 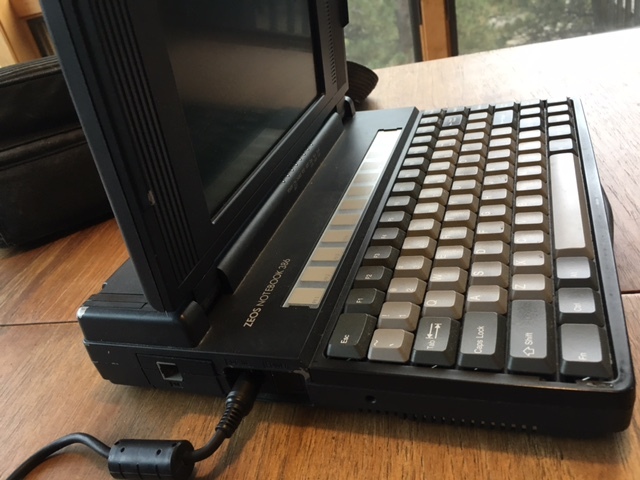 When did you get your first laptop or portable computer? Which operating system did it use? Let us know in the comments below! There are some great applications out there for your smartphone – and a lot of them are free to download and use. No matter who your carrier is, or which phone you have, you can find apps that appeal to your interests. Here are some that I use, or that have been recommended to me. I’ve also included the links so you can add them to your smartphone! Which apps are your favorites? Let us know in the comments below! Chris Eddy of Geek For Hire, Inc. has been providing computer service to families and small businesses with Mac’s and PC’s for the past fourteen years. His company is highly rated by both the BBB (Better Business Bureau) and by Angie’s List. You can find more at www.GeekForHireInc.com. Geek For Hire, Inc. provides (Tier 3) onsite service to the Denver / Boulder / Front Range area and remote service throughout North America. We’ve been doing a lot of Data Recovery lately so I asked Chris to tell us what is involved in Data Recovery and how it is different from Data Transfer. Although Data Transfer and Data Recovery are similar phrases, they are different in important ways. Data transfer is the act of copying data directly from one device to another. (For example when you purchase a new Mac and need to transfer your data from your old PC.) Data transfer tends to be much faster than Data Recovery, because it uses the native copy function provided by the Operating System. But, if there are physical problems on the device, or if the filesystem on the device is corrupt, data transfer will not work because it is not tolerant of errors. Data recovery is performed by specialized software that is tolerant of physical disk errors and errors in the filesystem. It takes much more time to perform Data Recovery because the process has several steps. Although Data Recovery is much slower to produce a Gigabyte of data, it is tolerant of errors so it is capable of getting to files and putting them back together. Data Production (the act of creating new files from the recovered data onto an external hard drive). Our method of recovering data is “Read Only”, meaning that we will not open the hard drive to get to your data; We will connect your hard drive to an adapter, and attempt to access the data through the disk. We will not open your hard drive because we don’t have a “Clean Room”, and we don’t have the spare parts or the specialized equipment necessary to transfer your platters to another drive in a way that would work and not damage your data. 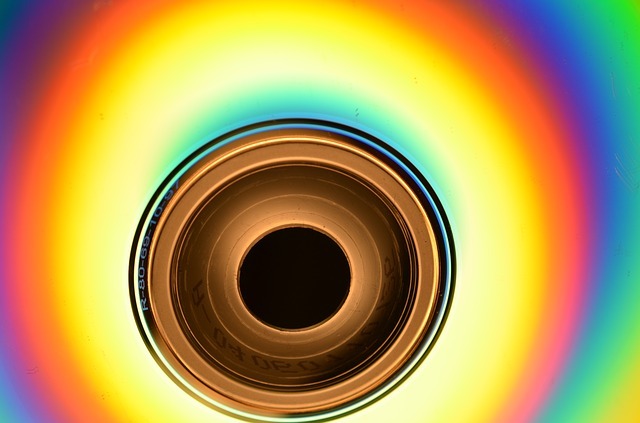 If we were to physically open your hard drive, we would introduce significant contamination to your disk, and this would not improve the chances of getting back your data. If we find that we cannot access your data, we will stop work, because proceeding will not improve the chances of our getting your data. If we cannot get your data, and you have a business case for getting your data, we recommend that you send your hard drive to one of the major data recovery companies and not to a local company which says they can do it. Because that company will get “one bite of the apple”; they will need to be able to open the disk in a clean room, and have the resources to get your data, because there is a serious risk that your drive will be polluted by their attempt. There are a handful of Data Recovery companies in the country which specialize in recovering data from physically bad hard drives. They have a clean room, spare parts, and invasive methods of getting your data. They charge a lot more than we do, but we are usually successful, and we can determine in a reasonable amount of time whether Data Recovery is something we are likely to be successful in doing or not. 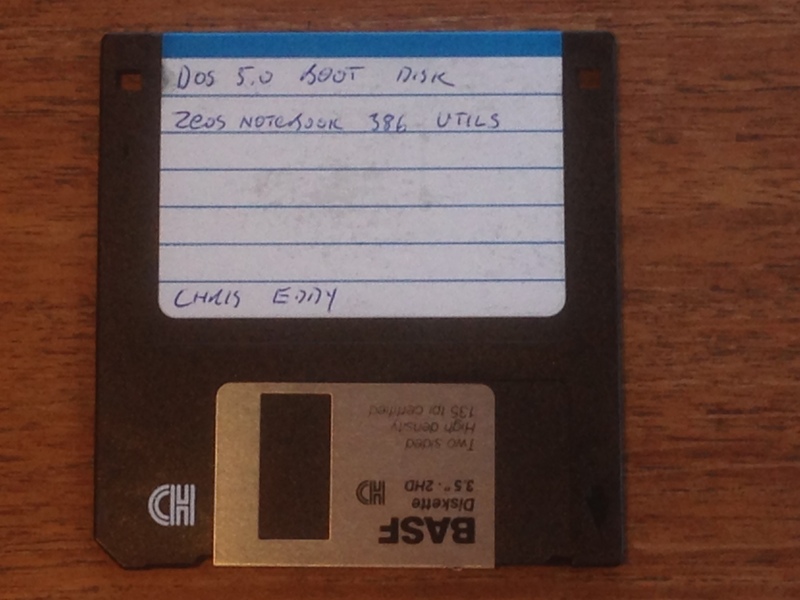 Our most exciting Data Recovery story happened several years ago. There was a fire near Gold Hill, Colorado. Our customer’s home survived the fire, but the next spring, with all the snow melt and spring rains, a mud slide buried their basement. Their computer was covered in several feet of mud. Chris carefully cleaned the machine and then started the data recovery process. Success! We can recover data from Windows or Mac hard drives. The device can be formatted using the Windows filesystem or for the Mac filesystem. It doesn’t matter to us if the computer that the device came from is bootable or not, because the device will be removed from the “source” computer and then connected to an adapter, which will allow the data to be accessed directly. Let us know if you have any questions about this process. Give us a call or send an email. will bring up information about all the Republican candidates except Donald Trump. Enter your search terms in the search bar. Click on the News tab. If you’re looking for an image, enter a description in the search bar and click on the Images Tab. If you want to fine tune your search, you can add other criteria. Click on “Search Tools” and select the color, type of image, usage rights, etc. Have you used these tips before for searching? Are there other tips you use? Please share them in the comments below! Did you ever try to connect to WiFi and see a Hotspot choice like “Sam’s phone”? The fictional Sam has set his SmartPhone up to “tether” to the cell system so that his phone can send out a WiFi signal. There’s more information about tethering on Wikipedia. Chris’ iPhone recently stopped working and he had to get a new one. (Just don’t ask him when the last time was that he backed up his old iPhone and please, please don’t ask him about all the photos on that phone!) He got a new cell phone with Verizon service. We wanted to know how the coverage differed in the Geek For Hire service area. He also had tethering turned on so that he can use his laptop in an area without WiFi. So far we’re pleased – not only with the WiFi tethering, but also with Verizon’s coverage. Plus, there doesn’t seem to be an extra monthly charge for the service, so long as we don’t use more than the 3gig of data we signed up for. If your current SmartPhone allows tethering, you may have to call your carrier (or bring it in to a store) to get the capability turned on. Do your use tethering? Are you using an app, or do you have your SmartPhone switched on to allow it? Let us know about your experiences in the comments below!